A new tool for tapping trees that is ergonomic, light weight and more efficient than traditional tools. An innovative parking app solution that allows people with spaces to connect with people that will pay to use them. Max Robbins and Peter Silverman attend the University of Vermont. Beacon: The future of embarking on careers after college. Beacon creates user-friendly, visually-pleasing career software for institutions of higher education. Linley Shaw and Michelle Yang attend Middlebury College. Share to Wear: One big affordable, accessible, fashionable closet for college women. Matthew Brien, Jillian Daniell, Macy FitzGerald, and Kimberly Westby attend Vermont Technical College. PetMed: An automated pill dispenser to medicate your pet when you're away from home. 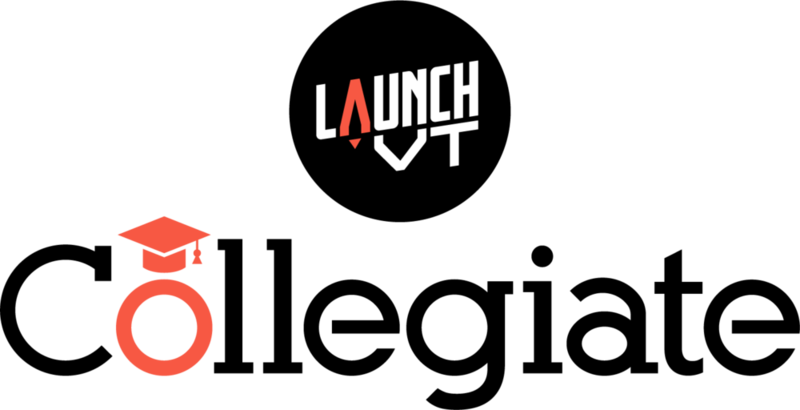 At the first-ever LaunchVT Collegiate Competition, teams from Champlain College and Middlebury College were awarded cash prizes to help launch their businesses. First prize winner, Thermouse from Champlain College will also have the opportunity to compete as a finalist in the LaunchVT competition on May 5 in Burlington. First prize winners Matthew Giles and Cullen Jemison said after winning that “We consider this a really vital step in moving toward our goal of manufacturing this product in Vermont. Eight teams from Castleton University, Champlain College, Johnson State College, Lyndon State College, Middlebury College, Norwich College, St. Michael’s College, the University of Vermont, and Vermont Technical College competed in today’s competition. Vermont Technical College President, Dan Smith, commented that “Entrepreneurship is in Vermont’s DNA. This event is an excellent opportunity for students and the state to showcase our creativity and enterprising spirit. We are thrilled to field a team and be a part of it." Matthew Giles from New Haven, Vermont attends Champlain College; and Cullen Jemison from Starksboro, Vermont attends the University of Vermont. Thermouse: Your hand is unique and your mouse should be too. Thermouse designs ergonomical, 100% customizable mice geared toward gamers. Terry Goguen, from Massachusetts, attends Middlebury College. Joyryde: An app that uses incentives to keep drivers from being distracted by their mobile devices. Alex and Rebecca Romac, siblings, attend the University of Vermont. Vermont Supply Crates: A handmade wooden gift box stocked with local Vermont products and shipped directly to your door.